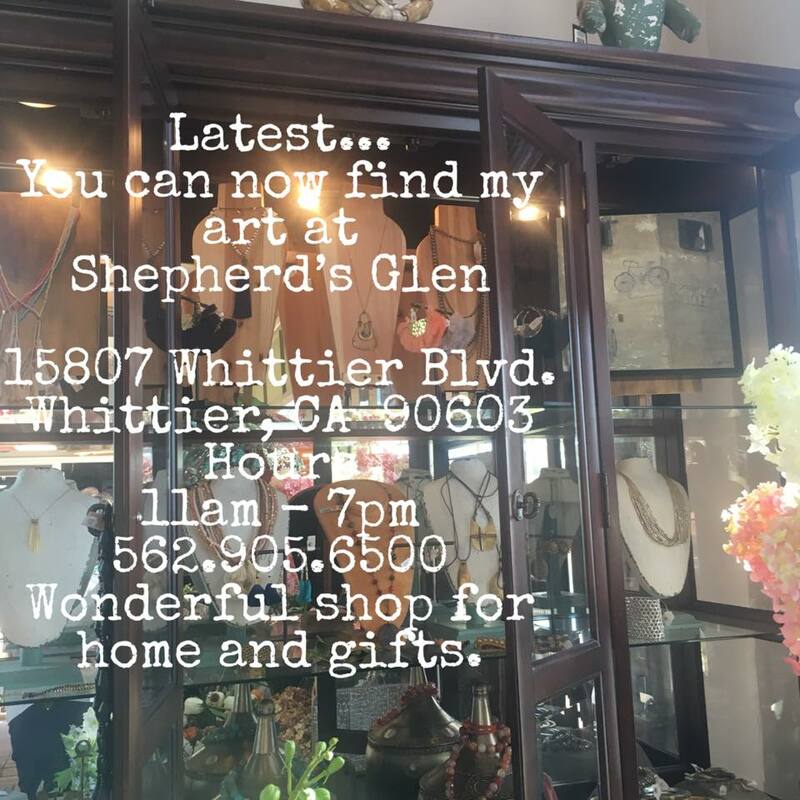 As of March 9th my art now is featured at a wonderful new store in Whittier, Shepherd's Glen. Come in and stroll through European products, personal care pampering items, olive oil blends, specialty foods and home decor. You will love it! Preview of my art tucked into this fabulas store, stop on by.